The Fitzroy Georgian style solid brass spindle table lamp with beige shade, crafted entirely by hand from solid brass and hand finished in a mellow natural brass. 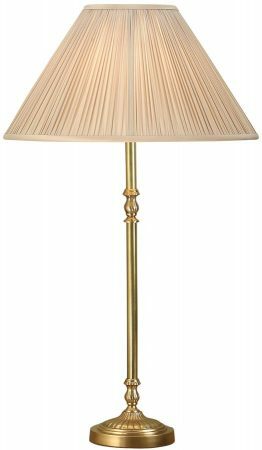 A stunning high quality table lamp base, with a detailed circular base and slender spindle stem. Fitted with a slide switch on the solid brass lampholder. Supplied with a tapered, 14-inch pleated beige organza lamp shade as shown. Double insulated, no earth required. 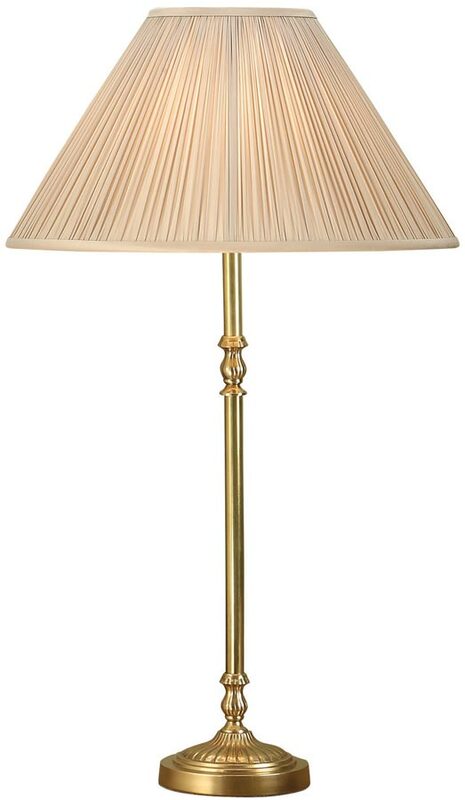 The Fitzroy Georgian style solid brass spindle table lamp with beige shade, part of the Rochamp collection of solid cast brass light fittings. Made entirely by hand using traditional sand casting techniques passed down through generations. The parts are then polished before being patinated to give an aged look.